In 1926, the two-volume novel The Duke of Duluth hit the streets of the Zenith City, penned by Dr. Thomas Shastid, a prolific writer and eye doctor once called “America’s forgotten historian of ophthalmology.” Shastid theorized that Abraham Lincoln was colorblind and predicted that human evolution would eventually eliminate the left eye and move the right to the center of the face. His Duluth novel was not well received. Shastid grew up in Pittsfield, Illinois, where his grandfather was friends with Lincoln long before Abe entered politics. The future ophthalmologist self-published his first work in 1880 at the tender age of 13, a collection of poems titled Newspaper Ballads. A year later he released a second collection titled simply Poems. In the 1890s, Shastid attended medical school at Harvard and returned to his hometown to practice medicine, later moving north to Galesburg. Both towns were part of Illinois’ Pike County. During this period he wrote two memoirs, 1898’s A Country Doctor and Practising in Pike in 1908, and also began a side career as a legal and science writer. 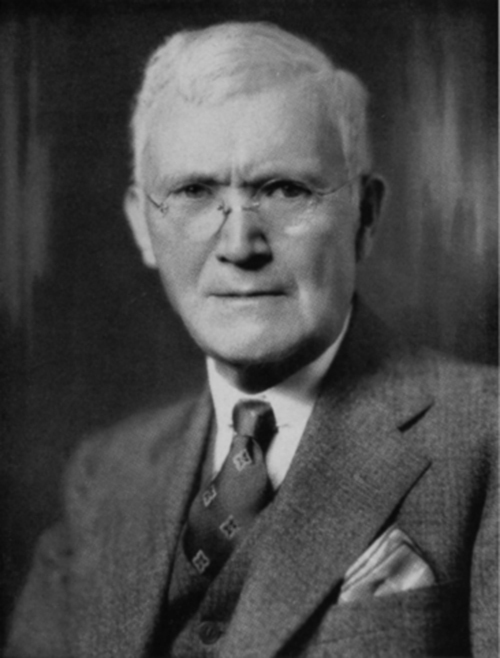 Between 1906 and 1936 the years he wrote three books on medical malpractice, three on ophthalmology, and was a major contributor to the eight-volume American Encyclopedia of Ophthalmology, During the latter half of the 1920s he turned his thoughts to ending war, giving speeches and turning those talks into five small books. In 1937 he published How to Stop War-Time Profiteering (1937) and an autobiography titled Tramping to Failure. The well-travelled Dr. Shastid liked to consider himself a hobo of sorts. In the memoir, he refers to himself as “The Tramp” and called his home, which he purchased from August Fitger, “Tramp’s Rest.” Apparently, the Tramp’s life was successful enough to warrant a second autobiography, published in 1944 under the title My Second Life. Sometime after 1908, Shastid made his way to the Head of the Lakes, at first setting up shop in Superior and eventually crossing the bay to Duluth. It was here, between 1923 and 1926, that Shastid published three novels. The first, 1923’s Simon of Cyrene (1923), is an allegorical tale of the life of Simon of Cyrene. He followed that a year later with the morality tale Who Shall Command Thy Heart? Then, in 1926, Shastid released a two-volume novel titled The Duke of Duluth. It was to be the first in a quartet of novels titled “The Nobility of the Midwest” that would include The Earl of Superior, The Marquis of Minneapolis, and The Sieur de St. Paul. The Duke was the first and last published; it is unknown whether he even began any of the other books.